I am Asperger’s, a brainiac, at times clueless at others. I am hyper aware of many things, do not notice some of the basics. I get it. My 3 kids are on the autism spectrum as well. I can totally relate. I have been trying for over a year to find supporters, donors, and sponsors to help us to help people with autism. We need help with technology, music like instruments, and the arts-tickets, art supplies to help people on the spectrum. Recognition and identification of Aspergers syndrome has skyrocketed in the last decade. Unfortunately, the way it is portrayed through the media venue has provided individuals who do not interact with families or children directly involved with a stigmatized lenses of the syndrome. ie Sheldon Cooper on the Big Bang Theory void of the ability to display emotion, Gregory House of the House series who expresses a diagnosis to a patient with apparent disregard to their feelings, Jerry the Lawyer of Boston Legal who allegedly had Aspergers and was portrayed with comorbid maladies such as grabbing his thighs standing on tippy toes and running away making odd noises. In my opinion these television characters provide a disgraceful impression to society in regards to Aspergers. Successful Aspergians who work beside you and your peers. Aspergians who are parents, doctors, lawyers, scientists, teachers, students and more. I wish to present a portrayal of some misnomers regarding Aspergers . I will draw from personal experience that I have acquired both as an educator and interactions with family members on the spectrum from both a serious and humorous perspective. These are merely my personal observations. This is a mistaken perception due to their penchant for bluntness. i.e. 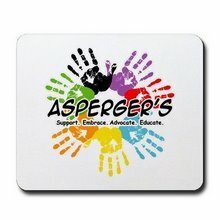 If a teacher wants to know who misbehaved in class the child with Aspergers would be ones best source of information. Bluntness is not the same as lying however. Like any other child, children with Aspergers may stretch the truth to avoid trouble. I used a candy bar as positive reinforcement. This was a treat because candy was not freely available at home. When I picked him up from preschool, I would immediately ask how he behaved for the teacher. If the report was good, he received a candy bar. I recall picking him up from preschool and asking how his day had gone. His eyes darted from me to his teacher. He replied with a quick, “Mom come on out in the parking lot and I will let you know how I behaved. “I foiled his intent to give me a good report when we were out of his teacher’s earshot. I responded by telling him that I would ask his teacher directly about his behavior before leaving the classroom. My son disappeared. I heard the bathroom door slam shut in his classroom. He had evidently run in there to hide. Was this a verbal expression of emotions? No it was not. As an Aspergian, he has difficulty with naming his emotions. My son had displayed his concern and yes, empathy for me through his actions instead of words. Expressions of concern were done in his unique way via actions versus words.. It was empathy none the less. I will elaborate and confirm their skill – set with an experience had during homework time in my school age class. I was tutoring a nine year old with Aspergers. Everything was going well during math homework which was compiled of rote facts. He was always compliant when homework required the use of his wonderful rote memory. We moved on to reading passages. I was attempting to assist the child in answering questions regarding the passage he had read. He was expected to summarize the passage which required processing skills. Rote work being his forte, his demeanor quickly changed. He attempted to stonewall. I persisted. The child looked up at the clock and said, “You know Miss Mari, my mother will be picking me up very soon”. I was silently amused at his comment. What he was stating in a diplomatic manner and silently thinking was, Miss Mari, get off my back will you please? I would surmise that this showcased his capability, and attempt to manipulate his environment. Recently my son was attempting to draw me in to one of his discussions that resemble a verbal dissertation. These verbal tugs of war always occur when we are discussing a topic that he finds distasteful such as chore requests, manners, behavior, etc. I have realized that his verbal tug of wars is the direct result of his intent to draw me off the topic at hand. My response of choice is to tell him that the discussion is over and walk away. We must pick our battles carefully to reduce what I call the deaf ear syndrome. If the discussion is going in loops walk away. No audience takes the fun out of it. During the conversation I told my son that I would not be roped into his verbal dissertation. His response was, “you just did Mom. You answered me back”. One can see the manipulative power struggle that is evident here. I ignored my sons comment. His goal was to veer me away from the topic at hand. I continued on my way and held my ground. To continue our debate with have proved futile as we would have gone around in circles repeatedly. I attempt not to get drawn in to a rousing game of lets have a debate until mom forgets what she wanted me to do in the first place. I merely walk away and hold my ground. Aspergians most certainly do have a sense of humor. One would merely have to observe the night I came home from a nine hour shift in a group home. I was extremely tired and fumbled for my keys in the dark night. Suddenly, a figure jumped out of the bush saying Boo I am Mari. I must have jumped 20 feet. My son had apparently downloaded a photo of me, cut a mask out of cardboard, and glued my picture on the front complete with eye holes. Hence, the reason he called it a Mari mask. Upon entering the house my other son was wearing one as well. This was definitely an example of my son’s ability to create a humorous experience. In closing I would like to convey the fact that individuals with Aspergers present with the same range of emotions as neurotypicals, they merely convey those characteristics that every human being possesses in a way that works for them. Perhaps we could all start looking at how we are similar versus how we are different. Accept each others differences and harness them to create a more copasetic and positive society. No two Aspergians are alike anymore than two neurotypicals. Like Baskin Robbins ice-cream, humans come in 32 flavors. Embrace that individuality, forget the them and us ideology and replace it with a WE will get more accomplished than a ME. I will leave you with this question and provide an answer to ponder. Question: Who is more important, the Physician or Trash Man. Answer: They are both equally as important. Without a physician we could not TREAT disease and we would perish. Without trash men we would HAVE disease and become ill. This is just a thought to ponder regarding differently abled individuals and society at large. Be the first to comment on "Myths And Misnomers Of Aspergers Characteristics – A Light Hearted Observation by Mari Nosal"